We’re learning more about what to expect when Apple ships the iPhone 8 this fall, and it’s looking like we won’t have to give up our Lightning ports after all. 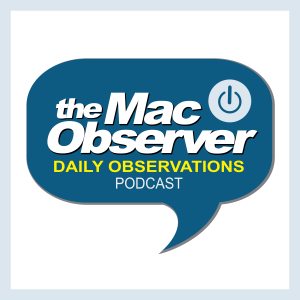 John Martellaro and Jeff Butts join Jeff Gamet to look at Lightning and USB-C, plus Touch ID and finger print sensors embedded in the display. Jeff Butts also shares a tip on using “Hey, Siri” on your Mac. Elgato’s Eve Lightswitch replaces a traditional lightswitch and adds HomeKit compatibility. You can get 10% off when you order at the Elgato website using discount code TDO, and free shipping when you choose FedEx Ground® Home Delivery.